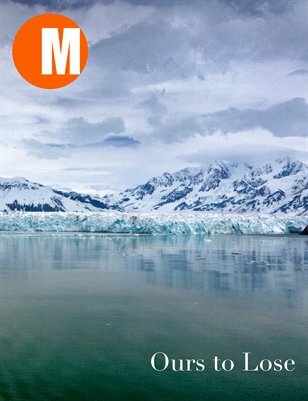 Ours to Lose is a stunning photographic portrait of six Alaskan glaciers in all their beauty and majesty. Whether seen from the air or water, these massive natural wonders display vibrant colors and a scale that defies the imagination. You will see the face of Hubbard Glacier as it rises some three hundred feet and stretches nearly six miles across the surface of Disenchantment Bay. Unique aerial views of the Taku Inlet glaciers are also presented. The images were shot in 2012 by Michael Anthony as part of his environmental series, Earthography®. These frozen behemoths that have evolved over centuries are now in retreat and are disappearing at an alarming rate. The photographs are offered as an inducement to experience these wonders firsthand and to raise awareness of the potential loss we face from climate change.